Escondido City Council members are expected to ratify contract with new city manager. Time for the big reveal on Wednesday, Nov. 18. That’s when the Escondido City Council members unanimously approved, with no practical discussion, the new $234,719 annual base salary with an additional, and lucrative, benefits package and contract for newly hired city manager Graham Mitchell who assumes office Dec. 18. It’s the same as outgoing city manager Clay Phillips got in his last three-year contract although Mitchell also got a one-time $10,000 relocation benefit. It’s all money in the bank for Mitchell, who will receive that base salary of $234,719 annually, according to city council documents released Tuesday. Congratulations, that makes him the second highest highest paid city manager out of 18 in San Diego County. 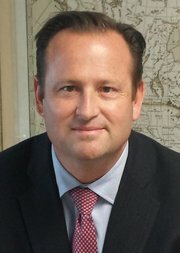 Mitchell made $180,024 as Lemon Grove city manager before moving to Escondido as assistant city manager at a base salary of $203,000 last summer. Carlsbad city manager Steve Sarkozy last year signed a contract paying him a base salary of $260,000 and highest paid city manager in the county. Outgoing city manager Clay Phillips announced his exit last month effective Dec. 18 retiring to a Valley Center winery and vineyard he started with his wife. We say beginning at 4:30 p.m. for the expected approval it’s batting ninth in the 11-item agenda lineup after a series of routine-appearing items regarding grants and street improvements. Along with Mitchell’s arrangements, city attorney Jeffrey Epps will have a new contract to continue in his current position. Mitchell and Epps are the only city employees reporting directly to the city council. That’s specified by California Government Code. New city manager Graham Mitchell gets some perks along with base salary. The proposed agreement sets a base salary considered comparable to Chula Vista. An interesting comparison in that Chula Vista refused from 2008-2013 to release any employee salaries. Finally, city officials relented reveling that city’s manager James Sandoval, ho later retired, received a base salary of $225,800 annually. In addition to base pay, benefits included 20 days of management leave with the ability to convert 15 of those days to salary, auto allowance of $750 per month — the same as council members receive; life insurance policy at twice the salary; separate contribution to deferred compensation plan of 7 percent of the base salary. The city manager also will receive an one-time allowance of $10,000 for moving expenses as well as vacation time, sick time long term disability insurance and worker’s compensation benefits on the same basis as all other management employees. Mitchell currently lists his home address as Lemon Grove, where he was longtime city manager before taking the Escondido assistant city manager post. Council members Wednesday also were expected to approve a $230,235 grant for FY 2015-16 from the Citizens’ Option for Public Safety (COPS) program, according to Escondido police chief Craig Carter. 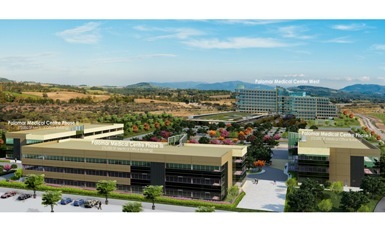 Artist’s conception of Escondido Research and Technology Center. City council members also were expected to approve the previously reported 10-year extension of the limited partnership for the city in the development of the Escondido Research and Technology Center. Future meetings are scheduled for Dec. 2 and Dec. 9.